My first solo trip to Mexico City I made a mental list of places I wanted to see, many of them art museums. I highly recommend Museo de Bellas Artes to anyone visiting Mexico City (CDMX). 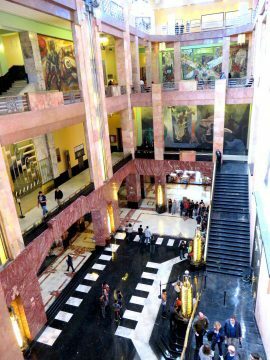 Even if you do not want to venture inside the art museum you should pay a visit to the building Palacio de Bellas Artes and the plaza in front of the building. Palacio de Bellas Artes is located next to Alameda Central Park, west of the Zocalo central historic district. It is easily accessible by metro which is a safe, clean, convenient, and affordable means of transportation in Mexico City. As of February 2019 the cost for a metro ticket in CDMX is 5 pesos which is about 26 cents US. I stayed in La Condesa neighborhood in Mexico City and found it an excellent neighborhood for a solo traveler because I felt safe walking around. I visited Mexico City in November during the USA Thanksgiving holiday and it turned out to be a great time to visit – not too busy with tourists and the weather was lovely with no rain and beautiful blue sky. There are several sculptures on the plaza in front of this magnificent building, including four Pegasus sculptures by Catalan artist Agustí Querol Subirats. 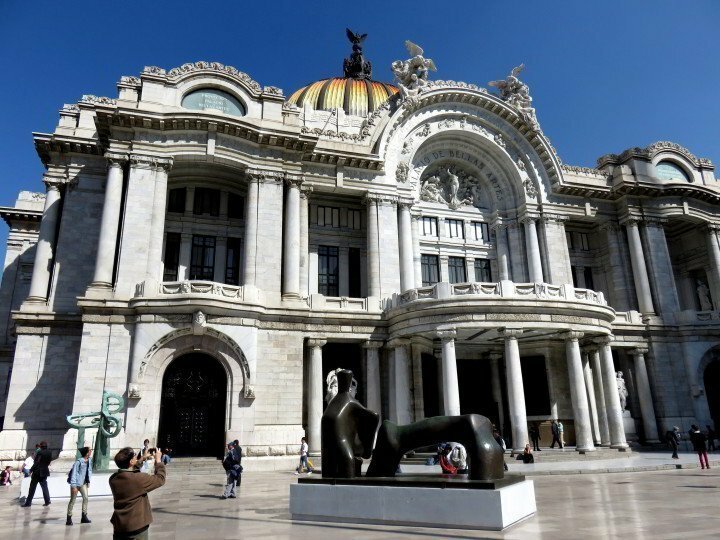 When I visited Palacio de Bellas Artes the sculpture Reclining Figure – Arch Leg by Henry Moore was on display at the plaza – watch the delivery and unveiling of the sculpture at Palacio de Bellas Artes. The sculpture is on loan from the San Diego Museum of Art. 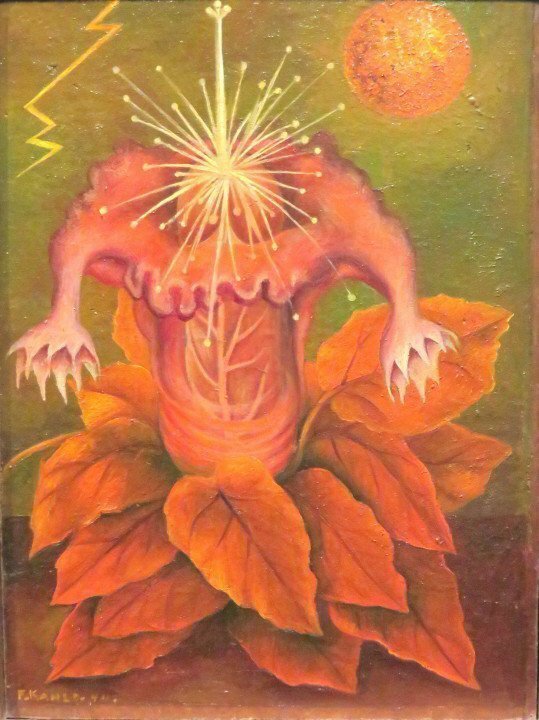 The exhibit during my visit to the Museo de Bellas Artes was dedicated to poet and writer Octavio Paz (recipient of the 1990 Nobel Prize in Literature) – titled En Esto Ver Aquello Octavio Paz Y El Arte (In This – See That – Octavio Paz) featured over 200 works including pre-Hispanic work along with modern artists. 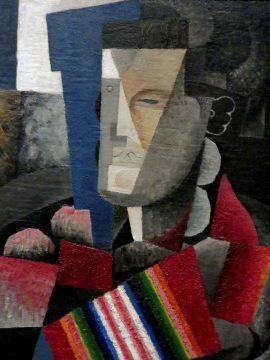 Diego Rivera is better known for his murals but he did dabble with cubism for a time as seen in this 1915 painting Portrait of Martin Luis Guzman. Frida Kahlo was also featured in the exhibit. While in Mexico City you should also visit the Frida Kahlo Museum, known as the Blue House. 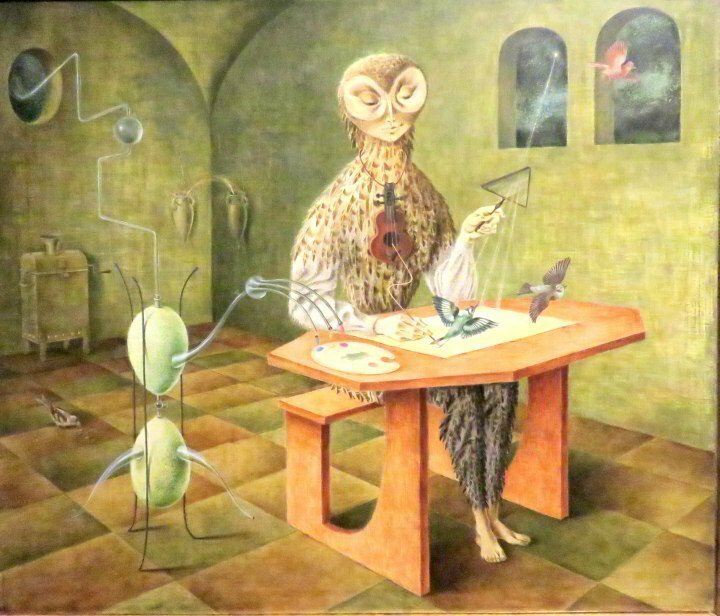 I was mesmerized by this whimsical painting by Remedio Varo – Creation of the Birds. 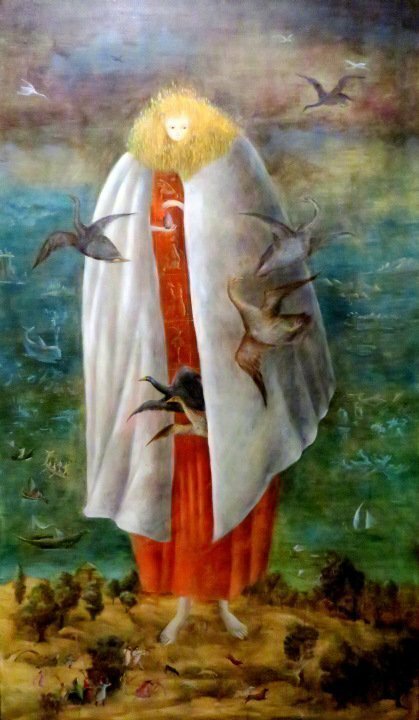 You need to see these painting in person to truly appreciate them – The Giantess by Leonora Carrington contains marvelous detail in the foreground and background. I spent several minutes admiring this art work. Another work by Diego Rivera from later in his painting career – The Temptations of Saint Anthony. The admission fees at the museums in Mexico City sometimes require a separate ticket for photography – ask at the ticket office when visiting. 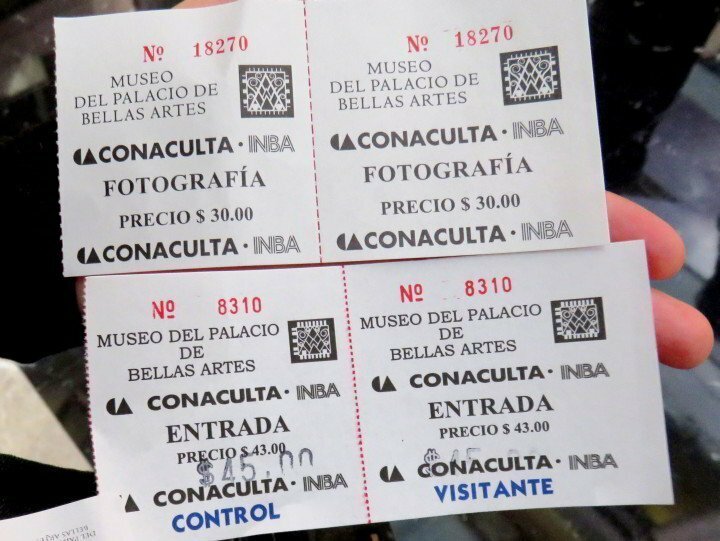 For the Museo de Bellas Artes the admission price was $45 pesos and $30 pesos for the photographer pass. There are several murals by prominent artists, such as Diego Rivera’s Man, Center of the Universe which I will feature in an upcoming post. You can catch a glimpse of the mural in the photo below – look in the top right corner. Mexico City is a city filled with magnificent art work – a must visit city for any art lover! Tours on the history and architecture of the Palace of Fine Arts every day at noon and 5 pm. Mural tours every day at 12:30 pm and 4:30 pm. Although I have traveled to mexico many times I have never been to Mexico City. 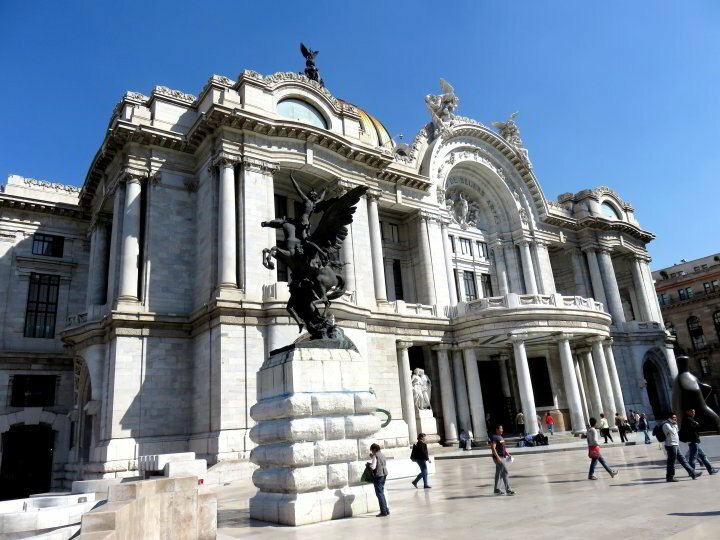 The Museo de Bellas Artes looks like a wonderful addition to a future trip. Sue, I hope you do make it to Mexico City soon – it is such a great city! Yes Paula, you could feast on the art and architecture of Mexico City. And there is some great coffee to be had in Mexico City – I know you would enjoy that too! Rivera portrait of Guzman. The serape was most unexpected, even though it was natural to include it. 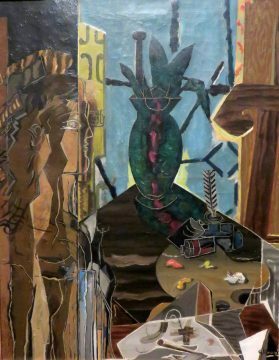 I had never seen any of Diego Rivera’s cubist works – I saw a few while in Mexico City. I love that he included the serape in Guzman’s portrait. 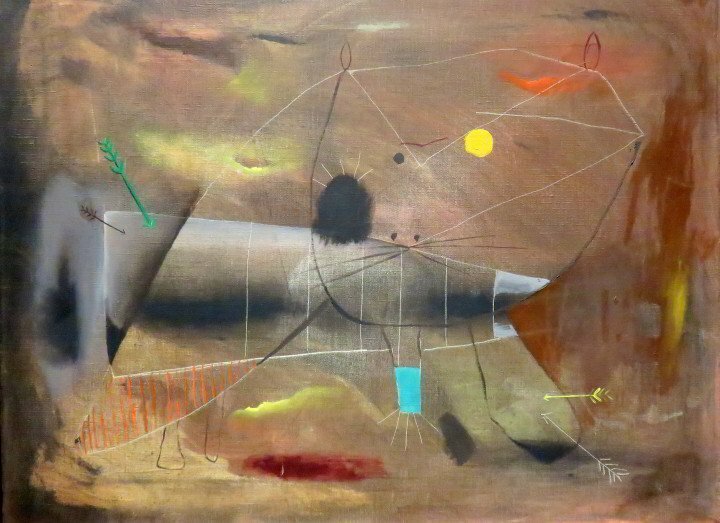 The painting was one of the first in the exhibit and I kept turning back to gaze at it. I’ll be in Mexico City solo in August so will definitely follow your very helpful museum trip you’ve posted here. Thanks! Michele that is great! I hope you love Mexico City – I want to get back again soon! 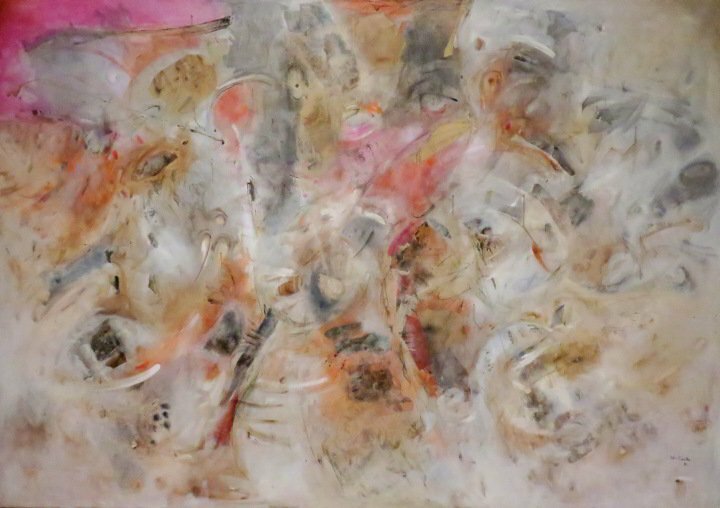 There are so many great art museums – I visited several but I still have much more to see in Mexico City. Enjoy your trip!!! When we were in Mexico, we had planned to avoid Mexico City but were convinced otherwise by fellow overlanders at a campground in Teotihuacan, just outside the city. So a short bus trip to the Metro and then we could literally go anywhere. The centre was such a surprise for us – beautiful streets and parks and museums. Thanks for taking me inside one of them that I missed. Isn’t it amazing Yasha?! For such a huge city it is so walkable – Centro Historico was a favorite neighborhood of mine – I would like to stay in the area next time I visit. The metro is just so easy to get around the city. 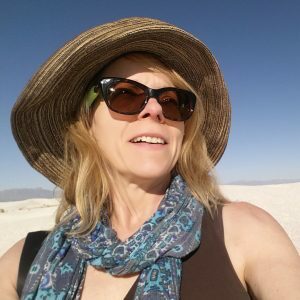 And Teotihuacan – that was an amazing day trip from Mexico City that I still need to write about – I had a marvelous time there! Wow – what a fabulous museum – thanks for documenting it so well and sharing it! I have to admit that I’ve always felt Mexico City isn’t safe. I’m assuming that you did not feel that way about it – maybe it’s time for me to reconsider! I’ve been to Mexico City several times and have seen the Museo de Bellas Artes building but never had to pleasure of entering. I enjoyed your intro to it. Perhaps some of my discoveries in M.C. will be of interest to you. 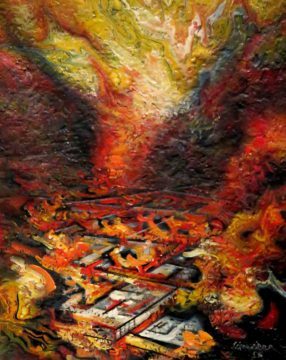 Hi Carole, I hope you make another trip to Mexico City and enjoy a visit to the Museo de Bellas Artes – such a beautiful building. They also have dance performances at the Palacio de Bellas Artes – I would like to attend one next time I visit Mexico City. Very cool paintings! In all of our trips to Mexico we haven’t made it to Mexico City, we need to change that. Yes I hope you do make a point of visiting Mexico City! It is magnificent! Wow. I’ve also seen the Palacio de Bellas Artes from the outside and for some misguided reason, never thought that it might hold the wonderful art you shared. 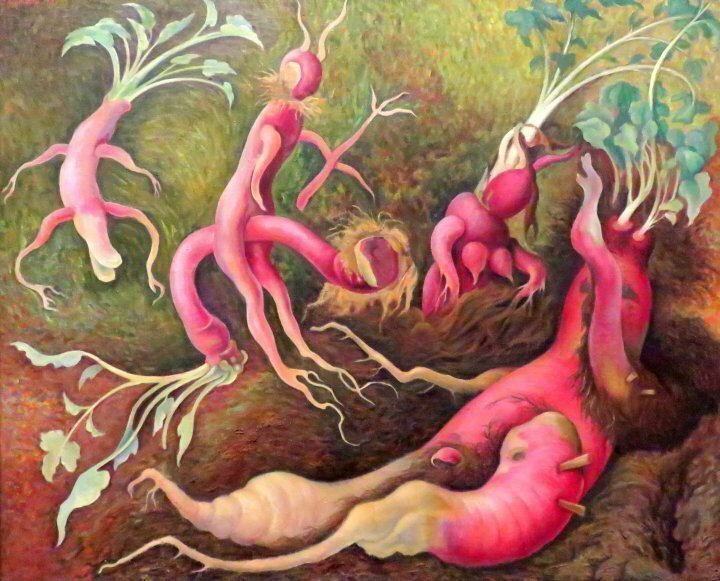 I never would have recognized Diego Rivera’s later work as his. Like you, I urge travelers not to avoid Mexico City. As in any big city, there are places in it that you should avoid, but so much of it is wonderful and safe to visit. Thanks for you comment Suzanne. I was a bit hesitant to visit Mexico City – simply because it is such a huge city. I visited Sao Paulo in Brazil a few years ago and the city is not walkable – but Mexico City is so very walkable! That and the metro and cheap cab fares, one can get around so easily. The amount of incredible art to be seen in Mexico City is amazing – I hope you make it back to visit an exhibit at Museo de Bellas Artes. 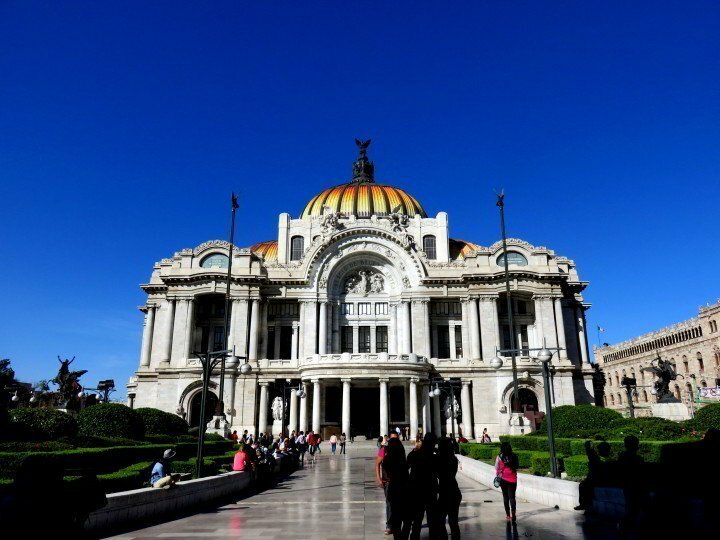 I love a good museum and it looks like the Museo del Palacio de Bellas Artes fills the bill. 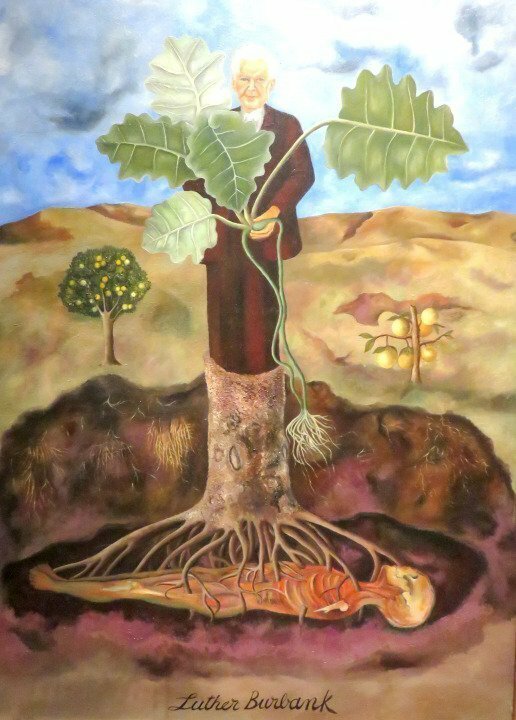 My favourite paintings are Frida Kahlo’s portrait of Luther Burbank and Diego Rivera – The Temptations of St Anthony. Wonderful paintings! I am a big fan of both Frida Kahlo and Diego Rivera. I also visited the Frida Kahlo Museum while in Mexico City – it is incredible. The house was her family home where she grew up and later Frida and Diego lived there. It is in the Coyoacan neighborhood, which is another lovely walkable neighborhood worth spending some time to enjoy it. These are great photos of the Palacio de Bellas Artes museum. 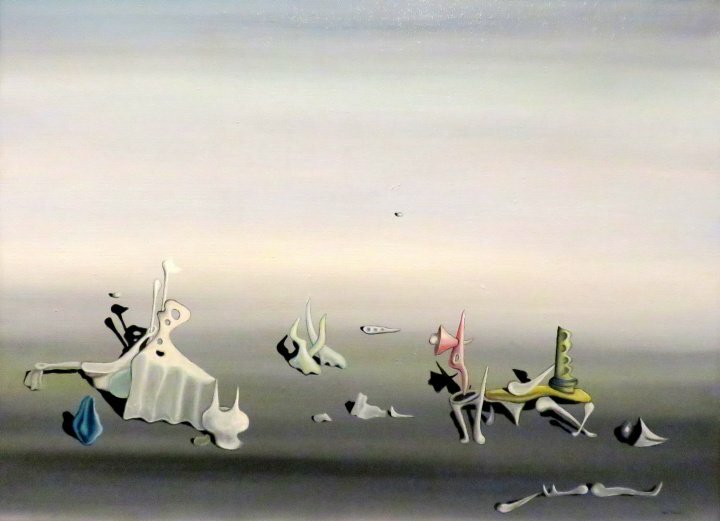 It looks like they have a good collection of surrealist art and the museum itself is beautiful. It’s nice to hear you felt safe in Mexico City, and it makes me want to visit. Thanks Shelley! I loved my visit to Museo de Bellas Artes. The exhibits change all the time so check and see what is going on if you go. They also have dance performances in the evenings – I did not attend one but will do so next time I am in Mexico City. I felt very safe in Mexico City. I stayed in La Condesa and enjoyed walking around in the neighborhood day or night, very safe neighborhood. I also met people who stayed in Centro Historico neighborhood and they liked it, that is where I would like to stay next time. Mexico city is so clean for such a large city. People are friendly, food is great. I met several people from the USA who were traveling there for the first time as well, they all said they loved Mexico City. I hope you get a chance to visit soon! The art museums in Mexico City would be at the top of our list of things to see and do and I’d especially love to see the painting by Frida Kahlo. 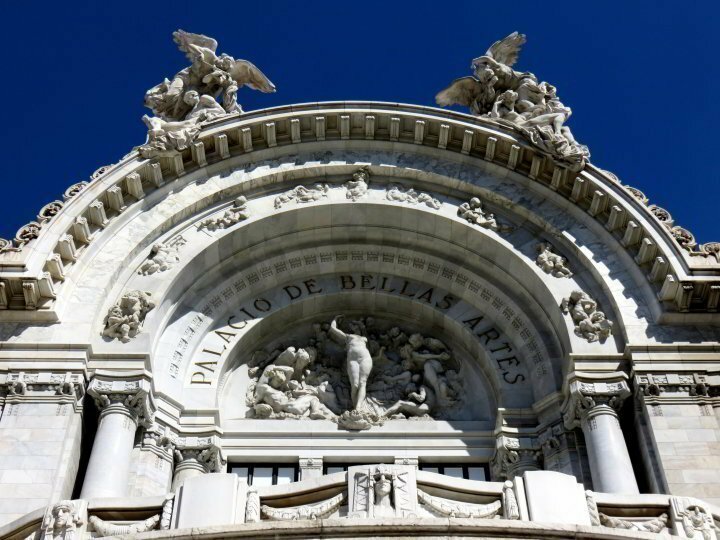 The Palacio de Bellas Artes looks magnificent on the outside and the photos of the artwork are terrific!